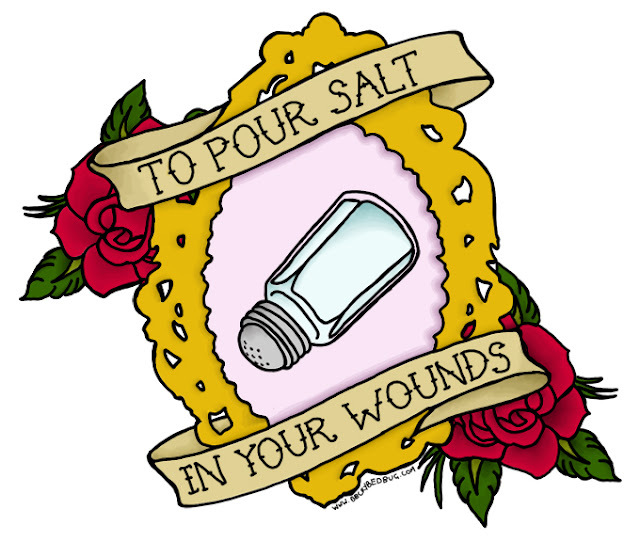 Ever since designing my My Chemical Romance tattoo, I've been really in to designing Old School tattoos influenced by song lyrics. I'm going to make this my new weekly feature so look out for them! First up, is a tattoo inspired by the Brand New song The Boy Who Blocked His Own Shot. I've included the song at the bottom if you want to have a little listen. They're a pretty awesome band! Love!! Mainly because I enjoy salt a little too much.. Haha. Haha I love salt too! I can't really eat it too much though because my body is funny with regulating it. Me too! They're one of my favourite bands! I started tearing up when I read "my chemical romance" I'm really too emotional.. I cried a lot. Sad times!